Little, Brown Books for Young Readers, 9780316490702, 400pp. 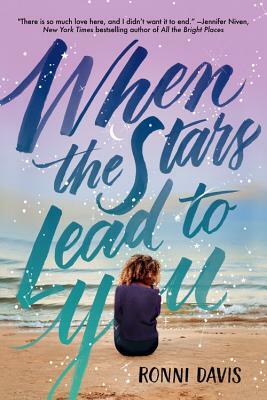 Nicola Yoon meets Jenny Han in a heated first-love romance about two teens who are torn apart one summer by prejudice and mental illness, and find each other once again. Eighteen-year-old Devon longs for two things. And the boy she fell in love with last summer. When Ashton breaks Devon's heart at the end of the most romantic and magical summer ever, she thinks her heart will never heal again. But over the course of the following year, Devon finds herself slowly putting the broken pieces back together. Now it's senior year and she's determined to enjoy every moment of it, as she prepares for a future studying galaxies. That is, until Ashton shows up on the first day of school. Can she forgive and open her heart to him again? Or are they doomed to repeat history? From debut author, Ronni Davis, comes a stunning novel about passion, loss, and the power of first love. Ronni Davis lives in Chicago, where she copy edits everything from TV commercials to billboards by day, and writes contemporary teen novels about brown girls falling in love by night. You can visit her at ronnidavis.com, and follow her on Twitter and Instagram at @lilrongal.